The NGO CIVIS PLUS announces the launch of summer courses at the “Social School Support for migrant and refugee children” under the Open School Program of the Municipality of Athens. 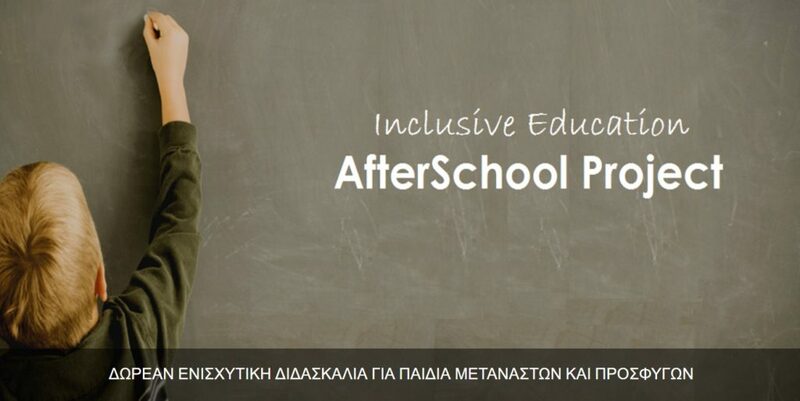 Summer lessons and “After School” activities will start on June 27 and will take place four times a week until July 28 at the 26th Elementary School of Athens (Fokionos Negri 63, Kypseli). The program concerns immigrants and refugees children from 6 to 12 years old and their parents. In order to participate, please contact: 210 5277089 (Open Schools) or 2110121441 (CIVIS PLUS NGO) and [email protected] For more information please contact [email protected] of the Facebook page After School.